Michigan voters may decide as many as eight ballot measures in November 2018, from legalizing recreational marijuana to changing the way Michigan politicians are elected. Chances are, not all of the proposals will make the ballot. State law sets high barriers for citizen-driven legislation and amendments to the state constitution, including a requirement to collect hundreds of thousands of signatures from registered Michigan voters within a 180-day window. Michigan law allows citizens and organizations to propose legislation and constitutional amendments for a statewide vote in the November general election. There are three types of ballot petitions — amendments to the state constitution; legislation that creates a new law or amends existing law; and referendums, which allow voters to decide if a law passed by the Legislature should go into effect. The Coalition to Regulate Marijuana Like Alcohol wants to allow Michigan residents 21 and older to legally possess, use, grow and sell marijuana for recreational uses. Currently Michigan allows marijuana for medicinal purposes only. The effort is spearheaded by the Marijuana Policy Project, a Washington, D.C.-based advocacy group. At least two different advocacy groups — Committee to Keep Pot Out of Neighborhoods and Schools and Healthy and Productive Michigan oppose it. Separately, a ballot committee called Abrogate Prohibition Michigan wants to end any state ban on marijuana use. 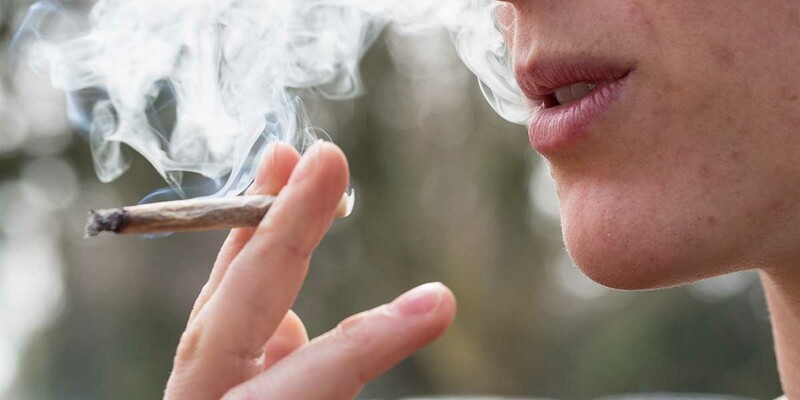 Unlike the larger pot initiative, Abrogate does not include age restrictions, which its backers say is meant to stop people — including minors — from being arrested for possession. A proposal by a ballot committee called Protecting Michigan Taxpayers would repeal the state’s prevailing wage law. The law requires “prevailing wages,” — typically, union-scale wages and benefits — be paid on state-funded construction projects. Prevailing wage opponents say the law artificially inflates the projects’ cost. Supporters of keeping the prevailing wage law, generally union-backed contractors, think repealing it would lower wages and weaken training programs. Lansing-based Associated Builders and Contractors of Michigan, a trade group representing mostly non-union contractors, is leading the repeal effort. Groups who want to keep the prevailing-wage law have organized around a committee called Protect Michigan Jobs. Voters Not Politicians is a ballot committee seeking to redraw the lines that make up Michigan legislators’ districts, a process known as redistricting. Currently, whichever political party controls the state Legislature decides the boundaries of state and congressional districts every 10 years based on U.S. Census data. Critics, including the Committee to Protect Voters Rights, say the process gives unfair advantage to the majority party. The proposal would take away redistricting power from lawmakers and give it to an independent commission made up of 13 registered voters in the state, from each major political party and independent voters. Two separate ballot issues would allow Michigan workers to accrue paid sick leave for themselves or to care for family members, and raise the state’s minimum wage. The first proposal, by a committee called MI Time to Care, would allow an employee to earn at least one hour of paid sick leave for every 30 hours worked, up to 72 hours. A second, Michigan One Fair Wage, wants to gradually increase the state’s minimum wage to $10 in 2019 and $12 by 2022. It was $8.90 but rose to $9.25 on Jan. 1. The higher wages also would apply to tipped workers, who earn less than minimum wage before tips. The Michigan Chamber of Commerce opposes the paid sick leave proposal, and the Michigan Restaurant Association opposes the One Fair Wage campaign. Lt. Gov. Brian Calley proposed a state constitutional amendment through a ballot committee called Clean MI Committee that would turn Michigan’s full-time Legislature into a part-time body that wraps regular session each April. Calley ceded leadership of the ballot initiative to Tom McMillin, a former Republican state representative and member of the Michigan State Board of Education, since Calley is running for governor. The Michigan Chamber of Commerce opposes the proposal. This proposal, from a committee called Keep Our Lakes Great, would stop the transmission of crude oil through the Line 5 pipeline beneath the Straits of Mackinac, owned by Canadian energy company Enbridge, Inc. The proposed ballot language also would require that Great Lakes pipelines carry billions of dollars in bonds or insurance. In addition, the Committee to Ban Fracking in Michigan continues to circulate petitions it started in years past. Michigan Tourism: Does state make $8.33 for every $1 spent on Pure Michigan campaign? Infrastructure: Michigan needs $4B more per year for infrastructure, but how to pay for it?